Home » Forum » Trade Talk » Roofing » Step Flashing Question. My trade is carpentry and remodeling but flashing to brick is not my thing . Not at all! 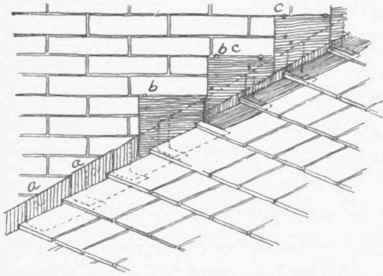 Is there a formula or technique for installing step flashing and counterflashing to a shingle to brick wall? I have installed a porch addition with a 12-3 roof, three tab shingle and I am having some difficulty figuring out the cuts to make to give it that consistent step look on this shallow roof to the brick mortar joints. I have run the flashing under each shingle and up the brick about 4" parellel to the roof and now I am stuck. I can't figure out the counterflashing spacing or shape( I assume that is the correct name for the permanent flashing that is imbedded in the mortar joints). Any help would be appreciated. Joe. Nice pic to explain flashing positioning . it does not explain the method of keeping the flashing to mortar joint a consistant look. Is it as simple as making sure the exposed base flashing is the same throughout and cut the metal to make it appear consistant? Am I not explaining my question clearly? Duh on me. Thanks. Joe.